Today I'm showcasing a card I did for my Sweet Stampede monthly team swap. The inspiration for this card came from fellow demonstrator Rachel Tessman. It is a Flip Fold card and it's so easy to create. The outer flap unfolds to display a sweet image and special sentiment. Now it's your turn to make one! Watch for products with an * by them as they are retiring May 31st or while supplies last. So if you want something make sure you get it before it's gone. 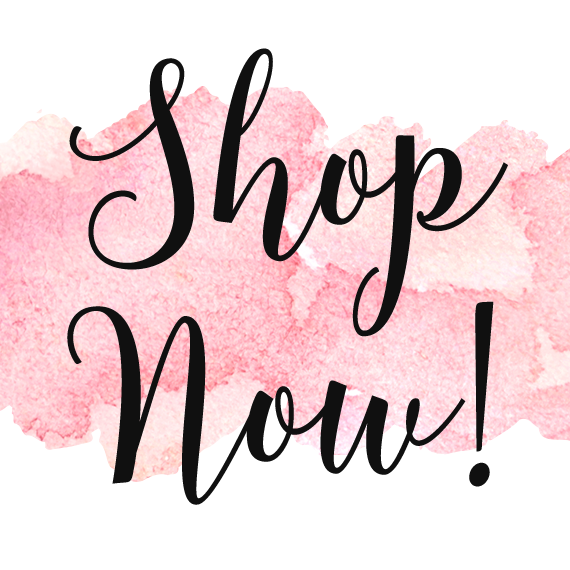 Start with A2 card base in Whisper White cardstock (CS)which is a 8 1/2 x 11 piece of CS cut in half on the 11 inch side and scored and folded at 4 1/4 inches. Cut a 7 x 1 1/2 inch piece of Basic Black CS and score it at 4 1/4 inches. With the BigShot cut a 2 1/4" Whisper White circle (2nd from the largest) in the Stitched Shapes Framelits and a 1 7/8" circle in Soft Sky CS* using the Layering Circles Framelits. Stamp the front of the card larger floral image from the Petal Palette stamp set on a 3 1/2 x 3 1/2 piece of Whisper White CS using Memento Tuxedo Black ink. Color image with light and dark Pool Party and Old Olive Stampin' Blends. Using the Big Shot cut out image using the coordinating Petals and More Thinlits Die. Punch 2 - 2" circles using the 2" circle punch in Whisper White CS. 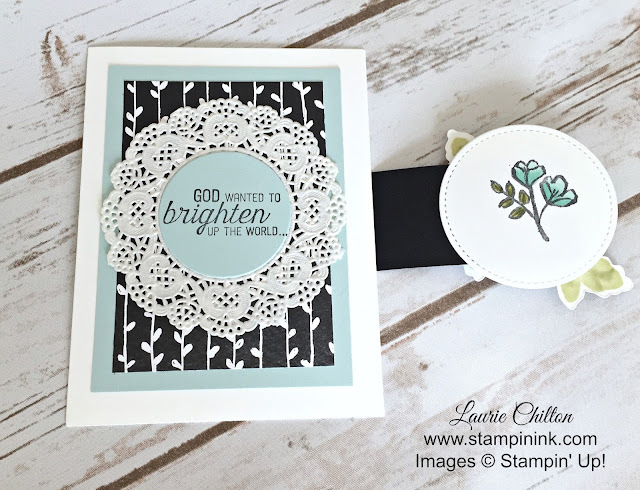 On one of the circles stamp the Hello sentiment from the Flourishing Phrases stamp set in the upper left and on the other circle stamp the smaller flower image from the Petal Palette stamp set in Memento Tuxedo Black ink. 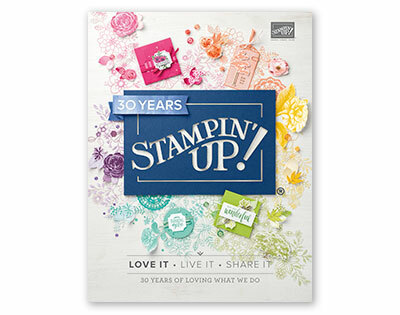 Color the flower image with Pool Party and Old Olive Stamping' Blends. 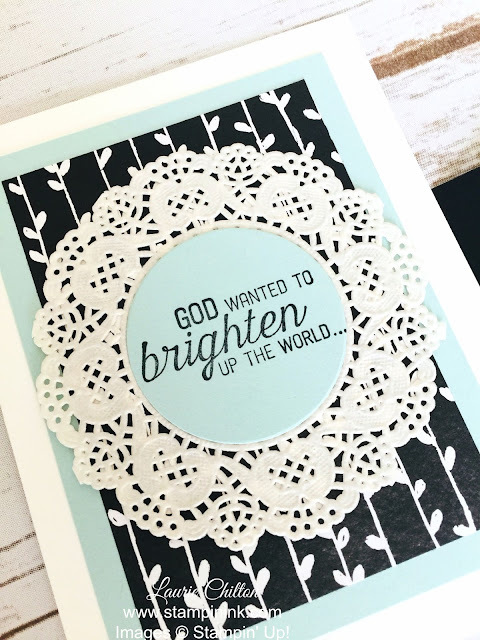 Stamp the sentiment "God wanted to brighten up the world" from the Flourishing Phrases stamp set in Memento Tuxedo Black ink. Cut a 3 1/2 x 4 1/2 piece of Soft Sky CS and a 3 1/4 x 4 1/4 piece of Petal Passion Designer Series Paper (DSP)*. Adhere those pieces together and then adhere to the card front. Attach a Delicate White Doilie* to the center of the DSP using Snail Adhesive. Using Snail Adhesive attach circles together on the shorter end of the black strip. 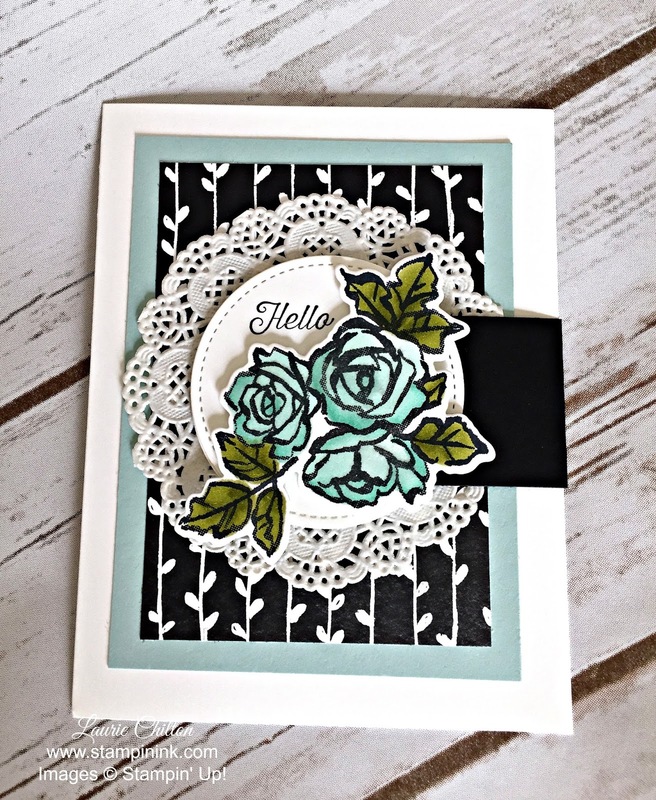 Attach larger floral die cut image to circle front with Hello sentiment using Stampin' Dimensionals. Apply adhesive to the inside of the black strip(only the side that is going to cover the back of the card). Attach the strip around the back of the card while centering the sentiment circle in the front lining it up with the middle of the doilie. Adhere the soft sky stamped sentiment circle to the middle of the doilie. 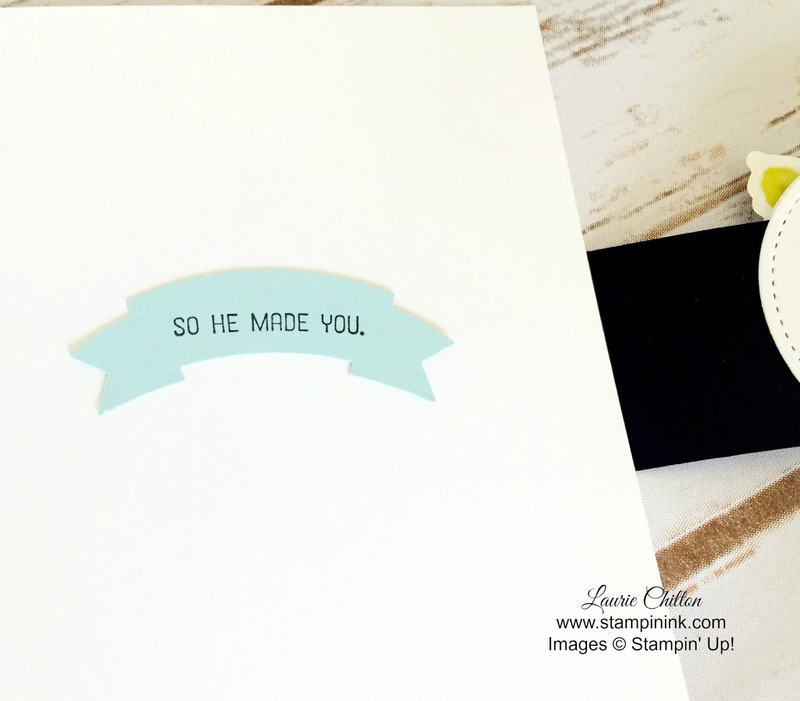 Stamp the "so he made you" sentiment from the Flourishing Phrases stamp set with Memento Tuxedo Black ink and punch the sentiment out using the Duet Banner Punch and adhere to the inside of your card.